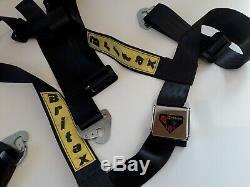 The harness of choice throughout the 1960's - 70's for all marques. 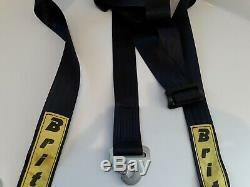 The Classic Britax 3 point race harness. At last, an accurate recreation of this period 3 point race rally harness that was fitted to all competition cars throughout the 1960's - 70's. These classic harnesses have been faithfully reproduced using a mixture of New Old Stock and high quality new approved parts. Our harnesses are also built by the company that built these back in the day.. 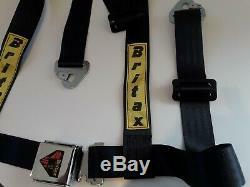 Built to exceed the industry standards for seat belt use, using the original factory Britax drawings. Mounting points used are the quick release snap hooks as per the originals. Buckle assemblies are new aircraft lift to release. This pair of harnesses will be built to order. We are also happy to build custom applications. Please contact to discuss your requirements. Note: you will receive one pair, 2 harnesses for Driver and passenger. 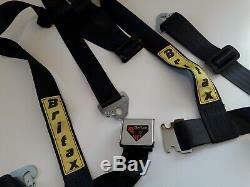 The item "Classic Britax 3 point race rally seat belt harnesses. Ford Mini" is in sale since Tuesday, March 19, 2019. 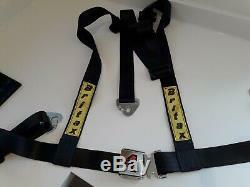 This item is in the category "Vehicle Parts & Accessories\Car Tuning & Styling\Interior Styling\Harnesses, Belts & Pads". The seller is "centpres911" and is located in Pulborough. This item can be shipped worldwide.